Educator. Blogger. Bibliophile. Traveler. Proud Nerd. Future Social Worker. Bipolar Sufferer. 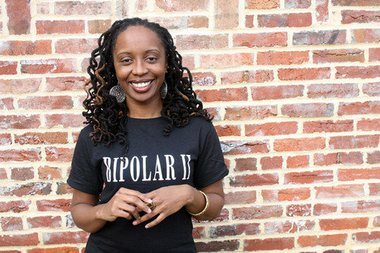 As a black woman, I’ve thought a lot about mental health in the black community. There is stigma in every racial and ethnic community around mental health, but especially so in the black community. There is the myth of the black superwoman, the memory of the Tuskegee syphilis experiments of the 1930s, those who believe in the power of prayer over medicine, and a distrust of doctors. 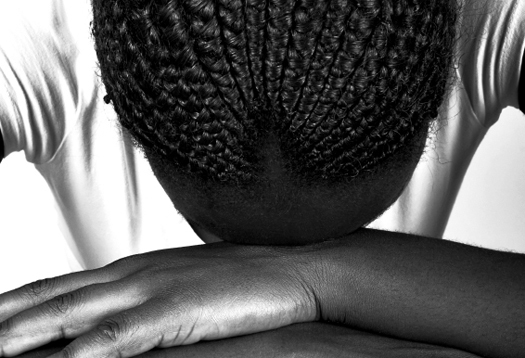 For numerous reasons, black people do not seek medical help, especially psychiatric help. There is nothing more important than self-care. It is not a sign of weakness to ask for help. We were not meant to soldier on alone. We are part of communities for a reason. Seek help. See a therapist. Not everyone is willing to take medication; the side effects alone can be a deterrent. But talk therapy is cathartic.Use your support network of family and friends. If they aren’t willing to help you in your time of need, maybe they aren’t real friends anyway. Seek out support groups such as Narcotics Anonymous (NA), Alcoholics Anonymous (AA), Depression and Bipolar Support Alliance (DBSA), and National Alliance of Mental Illness (NAMI). Each group holds local meetings in a town near you. And there are many others. If you need medication, take it, under the supervision of a medical professional. Build a life that supports your wellness: Minimize your stress, get your finances in order, make time for leisure, eat healthfully,and remove toxic people from your life. Scars. from The Weddington Adventures. on Vimeo. If you are spiritual, pray. Seek out your minister, pastor, rabbi, imam or other religious leader. Exercise. There is lots of scientific research attesting to the mental-health benefits of exercise. Also, try to maintain a healthy weight. This can be hard for people on psychiatric medications, but try. Keep regular appointments with your primary-care doctor. Some psychiatric drugs require monitoring through blood work. If you don’t have health insurance, seek out charity care. Hospitalizations, psychiatric drugs, and therapy appointments are all very expensive. But don’t let the cost deter you from getting the help you need. Get adequate amounts of sleep. You can trigger an episode if you do not. Do not let the stigma stand in the way of getting the help you need. Nothing is more important than making sure that you are sane, healthy and happy. This entry was posted in Information, Motivate & Inspire., Resources and tagged african, american, awareness, believe, chicago, city, community, depression, development, dream, economics, educate, education, employment, faith, family, hope, illinois, information, inner, inspire, jobs, labor, learn, lifestyle, love, motivate, neighborhoods, organization, poverty, project, public, schools, skills, southside, streets, suicide, training, youth. Bookmark the permalink.